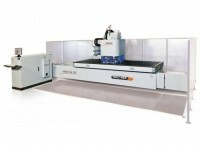 Taurus Craco offers leading brands woodworking CNC machines: Find Holz-her, Bacci here. Our CNC machine centers polish, process, profile, and deliver the combinations of modifications you need in your woodworking shop. 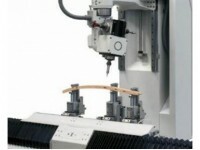 Featuring heavy duty construction are CNC machine centers are built to last while working at a high production capacity. Featuring an easy to learn user interface, your employees will be able to master our CNC machine centers quickly and intuitively. These CNC machine centers are so easy to use that both new and veteran employees take very little time to learn the processes. 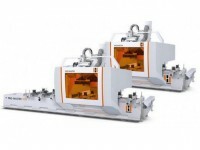 A selection of CNC machine centers offer large amounts of tools in the magazine and can be customized to meet your production needs and optimize your output. 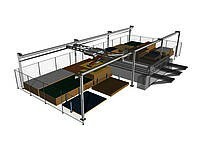 Customizable features allow you to reduce the time it takes to load and unload the machines, decreasing downtime. Automatic adjustments fueled by pneumatic power all for quick change overs and noise reduction technology to keep your workplace quiet.